The London Dungeon provides an event backdrop like no other; where novelty, prestige, and history meet and the outcome is always unique! The London Dungeons are renowned for being a London staple, and are as integrated into our history and skyline as landmarks such as Big Ben, the Houses of Parliament and the London Eye: all of which your guests can see from its dramatic entrance. 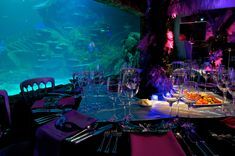 Choosing the location for your event is predominantly the most significant step in attaining the tone you wish to set for the evening, however, as equally important as selecting a unique venue is selecting the entertainment to go along with it. When choosing a venue such as the dungeons, the event organiser knows that this is their opportunity to create a fun, haunting and memorable evening, and often opt for one-on-one, interactive entertainment such as Tarot card readers, magicians, and other medieval-style ‘street performers’. The magic of Tarot Card readers is that not only do they entertain the guests on the night, but they also leave them with something lasting that they can take home with them. Ann: “Tarot cards are believed to have originated in the Middle East. They became popular in Moorish Spain in the 14th century and then became widespread in Europe. Tarot cards were originally used for a playing card game called Tarocci and now are used for divination or as a symbol for personal growth and development”. How does Tarot work on an event? If someone does have an unanswered question or seeks direction they may well be able to find their answer, thus going home satisfied on many different levels. Ann Says: “My readings are positive and I have a real passion for all the readings I do. It helps guide people and unlocks their inner thoughts. They work for events because it is an additional treat for people and an exciting one. They choose their own cards so they are interacting and having fun”. Want to find out more? 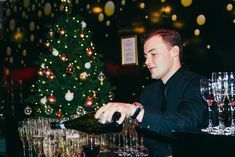 Our event team are on hand to discuss how the London Dungeon would work for your event, and how a Tarot card reader can take your event to the next level and leave your guests with a positive lasting experience that they can take away with them! Feel free to contact us today and let us guide you to the perfect ‘spooky’ event!